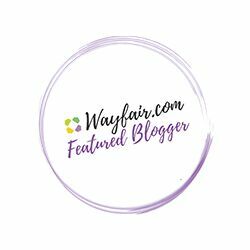 One of my favorite blog sites everything under the sun and more received the “Versatile Blogger” award and nominated my site: La Cartera as one of her favorite blogs today! I am honored to receive this nomination from a fellow blogger. Since this is my first time blogging, and designing purses, I can say that I’m addicted to my craft and blogging. It’s a great beginning to the New Year. (CHEERS!) I hope I’m following the rules. Much love goes out to Everything under the sun and my followers! Stay tuned, because there’s more to come. I’ve just made a new post and informed the nominees! I Thanks again. Your welcome. I didn’t know what to do either. I kept asking questions… lol ! Congratulations! Just stopping by and finding great people on WordPress. Take care. Thank You, and your site is pretty cool too. Thank you! I love your site too!! !